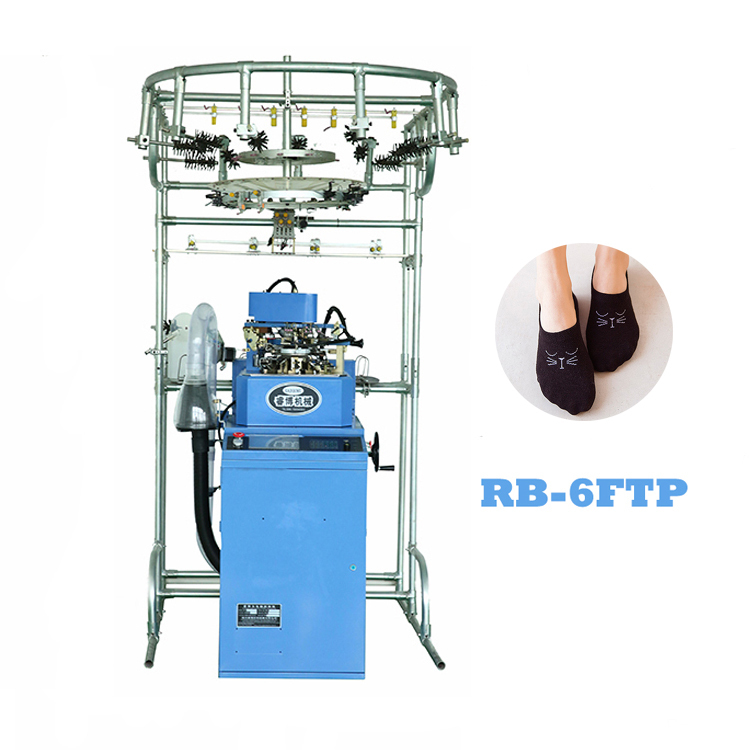 RB-6FTP for terry and plain socks making. 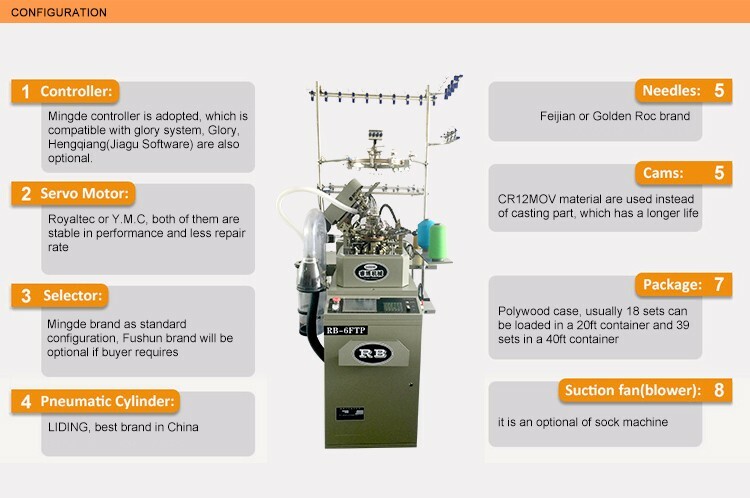 Knitting system is fully controlled by computer, brand Mingde and Glory can be the options, both LCD displays can show all detailed running data, and language versions of English, Russia, Chinese are available. 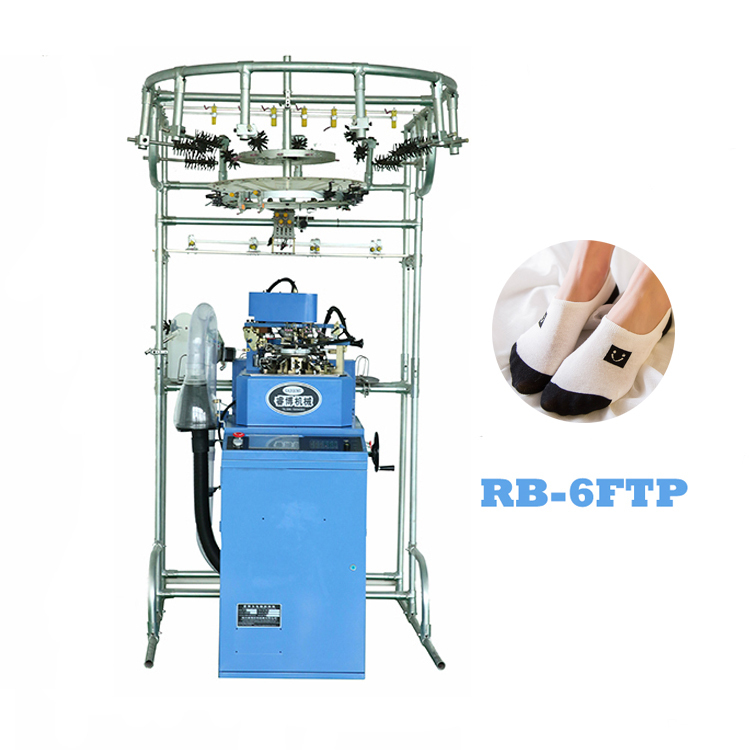 Stepper motor controls the adjustment of tension and yarn including rubber knitting density. 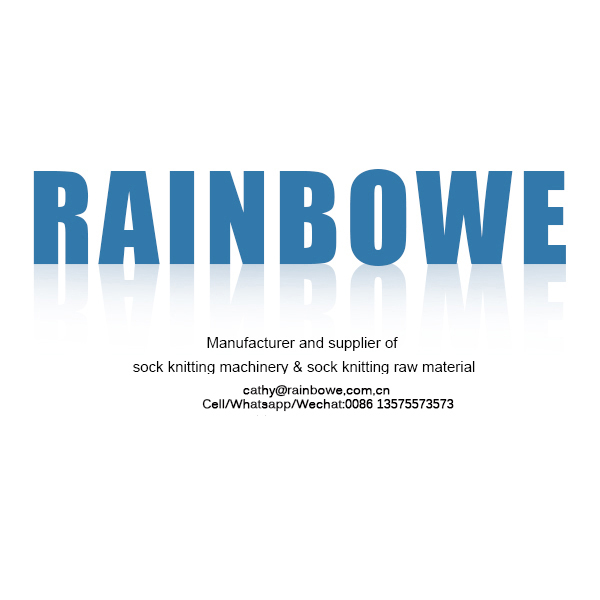 Looking for ideal Cotton Socks Making Machine Manufacturer & supplier ? We have a wide selection at great prices to help you get creative. 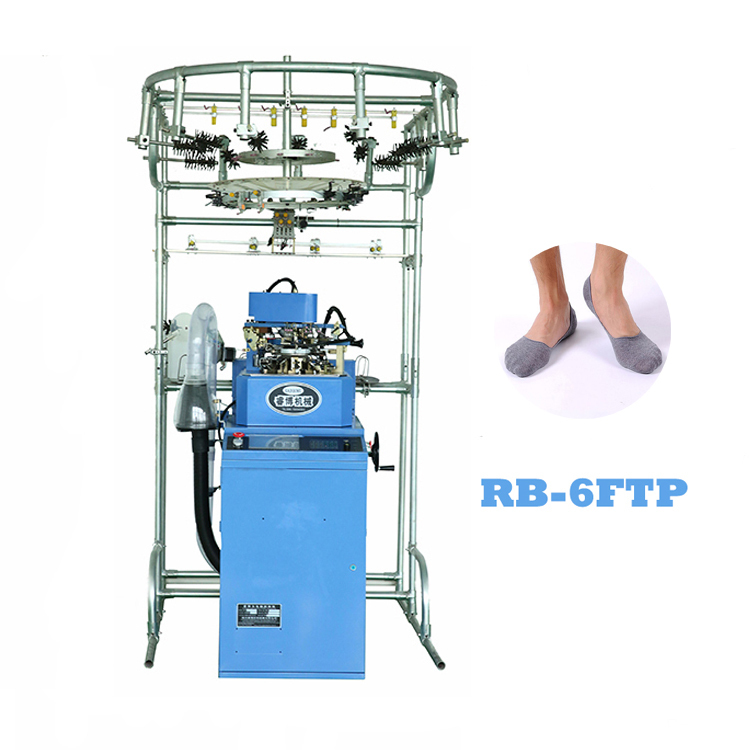 All the Invisible Socks Machine are quality guaranteed. 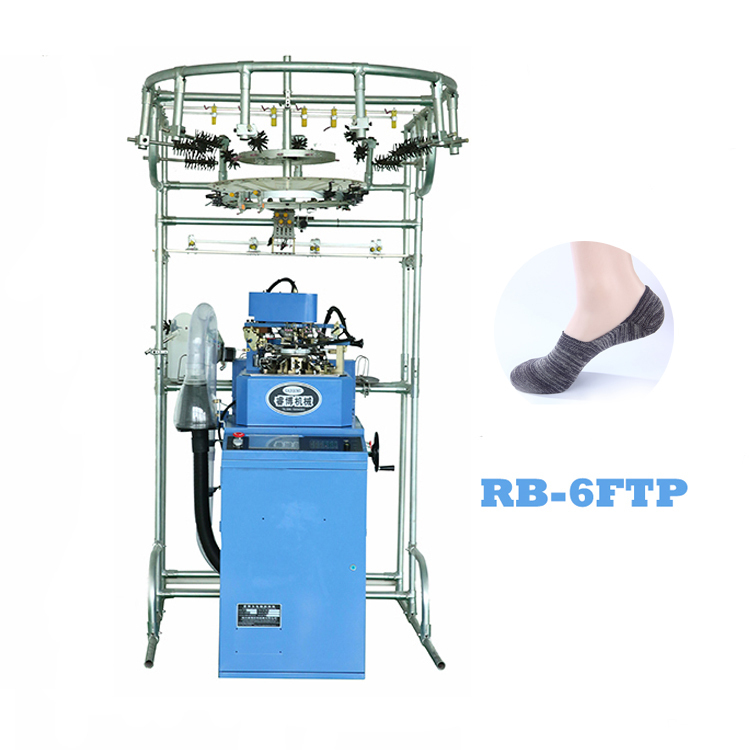 We are China Origin Factory of Plain and Terry Socks Making Machine. If you have any question, please feel free to contact us.